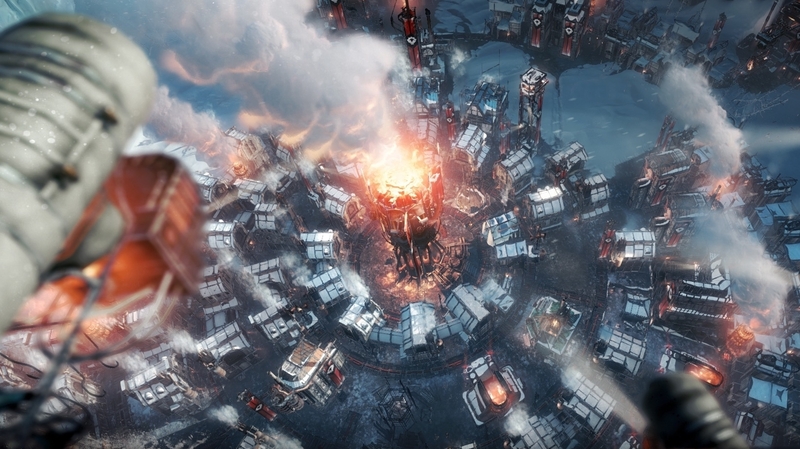 This War of Mine developer 11 Bit Studios’ critically acclaimed city-building survival sim, Frostpunk, will be making its way to Xbox One and PS4 “this summer”. Frostpunk originally released on PC last April and went down a storm, managing to shift a quarter of a million copies in less than 66 hours. And that success is well-deserved: Frostpunk is a fascinatingly unique (and frequently gruelling) experience, mixing brutal survival sim elements with familiar city-building, then marrying the whole thing to a strong narrative within a harsh, post-apocalyptic world. As you’d expect, the lack of resources among the snowy wastes make rapid growth difficult and risky, setting it apart from more traditional city-builders, and survival often requires players to explore beyond their fledging civilisation’s boundaries – even making some tough moral decisions along the way. Will you put your society’s children to work, for instance, or kill the sick, if it means the rest of your population will have a greater chance of staying alive? Frostpunk: Console Edition, as the new Xbox one and PlayStation 4 version will be known, is described as a “finely tuned adaptation” of the PC experience. “Great efforts are being taken to re-design the game and adjust its mechanics”, says 11 Bit, “especially when it comes to controls”. The console version will feature the core game and all free content that’s arrived on PC since launch, including the The Fall of Winterhome scenario, Endless Mode, and more. Eurogamer’s Robert Purchese liked Frostpunk a lot when review time came around, awarding it a Recommended badge, and calling it a “spellbinding […] breathless battle against the odds”.